Wassail? What’s wassail? This is the most common response to my most uncommon enthusiasm over this uncommonly delicious beverage. I will answer your question! Aside from being an essential element of Christmas time (and by that I mean October through March. Sometimes April. ), this traditional English drink is consumed during a ceremony known as wassailing. During this ceremony, the health of cider-producing trees is toasted by the entire village as the Wassail Queen and King traipse around the trees to awaken the good cider tree spirits and drive away the evil ones. Historically, wassail was more like a mulled beer or mead than a cider. Sugar, ale and spices were mulled in a pot and pieces of toast were placed on top of the drink to act as sops. 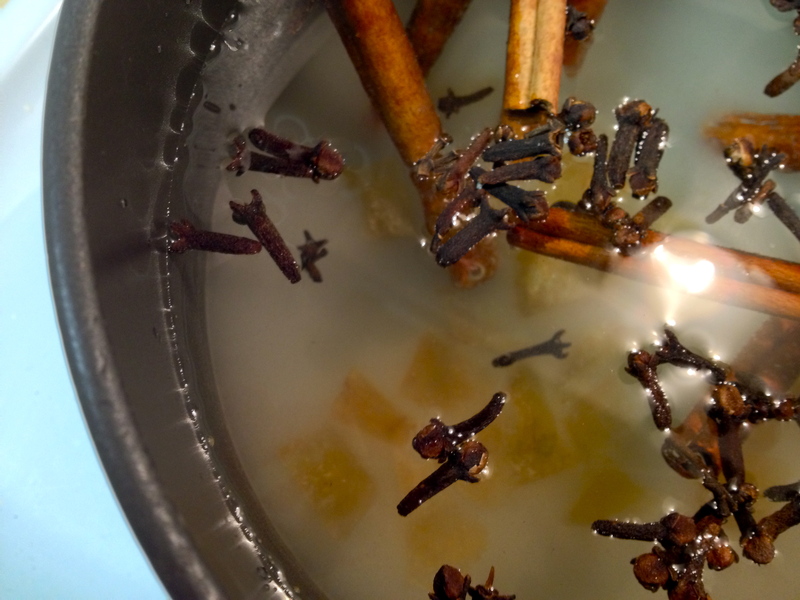 Now, however, most people’s rendition of this beverage are similar to mulled cider, with perhaps some alcohol added. My family’s recipe dates waaaaaaaaaaayyy back to when I was in elementary school (I know, 15 years is hard to wrap your head around). 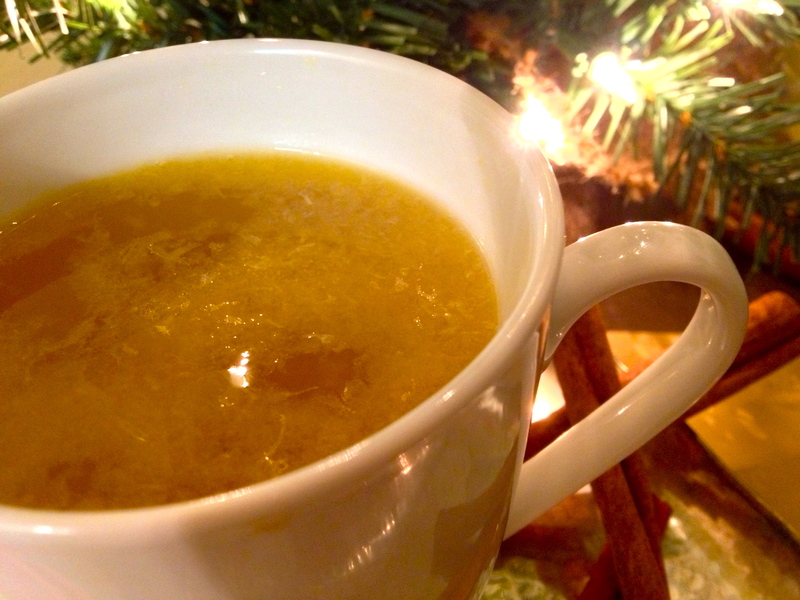 My elementary school principal and dear family friend made this wassail recipe during the winter months and kept a crock pot of it in the school kitchen for the faculty (and children of the faculty, apparently, since I was able to partake). She swore that it fought off that pesky winter cold and would cure anything you’ve got. I can’t even tell you how many times this recipe has been made in the Taylor household! It’s as much a part of Christmas as the tree for our family, and I’m incredibly joyful that you will be able to share in this delicious tradition. This is much more of a punch than wassail was traditionally, so purists beware. I doubt, however, that you will mind once you try this. The base can be kept refrigerated for a week or two; just add the juices and a little more water and heat it up to serve! Combine the ingredients for the syrup in a medium saucepan. Bring to a boil, remove from heat and let stand for an hour. Divide the syrup in half. Keep half in the fridge or freezer for future use. Combine the remaining half of the syrup and the rest of the ingredients in a large pot. Heat and serve!! Stay warm, healthy and happy.